The news is generally viewed as a source of truthful and unbiased information. However, the real truth is that mainstream media is a blur of misinformation. Yes, a few facts may be given, but you can be sure that these facts will be clouded by false information. Do not forget, the media is a business and its aim is to sell you headlines. Recently, a customer came across a news article which stated that sunflower seeds ‘halt’ prostate cancer. He shared the article with me and asked whether or not this was true. Misinformation is dangerous and can lead to you making decisions that can affect your health. In this segment I will explore the latest news headlines, separating fact from fiction and giving you the real scoop behind the latest news. The story came from The Sydney Morning Herald. The article, titled ‘Sunflower Seed ‘Halts’ Prostate Cancer’, is a somewhat sensational and misleading title, suggesting that sunflowers seeds are powerful enough to prevent aggressive forms of prostate cancer. The article refers to a study undertaken by researchers at Queensland University of Technology (QUT) and suggests that a small protein in sunflowers seed is showing potential as a means of preventing aggressive prostate cancer tumours spreading to the bone. Yet after some digging, it appears that the study itself was not actually published. This could suggest that the research and results were not strong enough for publication. The Sydney Herald Time does not link or reference the study in any way, other than quoting one of the researchers from the University. Should it be necessary for all news and media articles to link any studies or research referenced? Considering the premise of this article and the overstatement it has advertised, it can be argued that scientific studies should always be linked or referenced in some way. Failure to do so prevents the reader from gaining accurate information. Another factor up for discussion is animal trials. While animal trials do provide valuable information, helping us to decide whether to progress the drug to human trials, they are by no means accurate. Because of the difference in species, what is proven to be safe and effective in animals might not be so in humans. This article states that if current trials on mice are successful, a new human therapy for prostate cancer spread would be available. However, there is no such evidence that this statement is true. 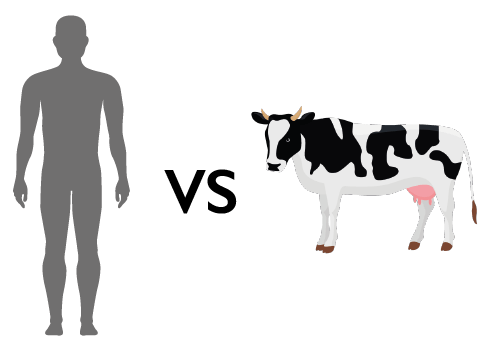 In fact, translating studies from animal to human subjects can have tragic consequences. For example, a drug that was designed to treat leukaemia, known as TGN1412, was tested in monkeys and worked well. However, when 1/500th of the dose was given to six healthy men, during the first phase of human trials (2006), they immediately developed serious side effects. These included fever, vomiting and diarrhoea. Therefore while animals trial can provide a valuable insight, it should be remembered that the results are not necessarily successful when applied to human trials. This article is misleading and inconclusive, offering no links or a searchable reference to the study mentioned. Sunflowers do host a number of health benefits and contain vitamins such as Vitamin E, copper, B Vitamins, phosphorus, and selenium. 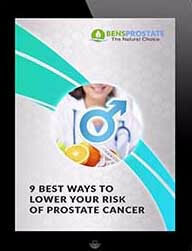 And diet and lifestyle are factors that can contribute to the development of prostate cancer. Therefore, if incorporated within a healthy diet, sunflowers seeds could, as part of a healthy lifestyle, help to prevent prostate cancer. However, in retrospect of this article, sensational headlines such as ‘Sunflower seeds Halt Prostate Cancer’, shouldn’t be regarded seriously. While sunflowers seeds are good for your overall health, don’t start ordering them in bulk just yet. While they may help your health, they will not ‘halt’ prostate cancer overnight. Hi Luis, we do have an article coming out shortly in regards to egg consumption and prostate health, so will let you know when that’s out. Wishing you good health. 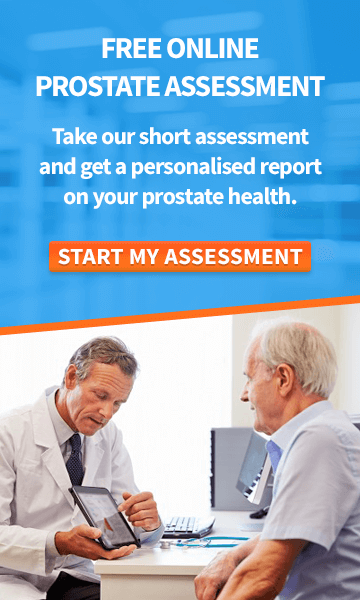 I have an enlarged prostate for over 10 years. I have quite a bit of experience with what works and what doesn’t work. I find that supplements work a little but what’s way more important is your diet and certain medications. I read Ben’s book, “all about the prostate”, its very good. Urologist want to put you on prescription drugs right a way. On my own I found that things like jerky and cured meat are a big no no if you have an enlarged prostate. I found that eating a 1/4 cup of pumpkin seeds a day helps. 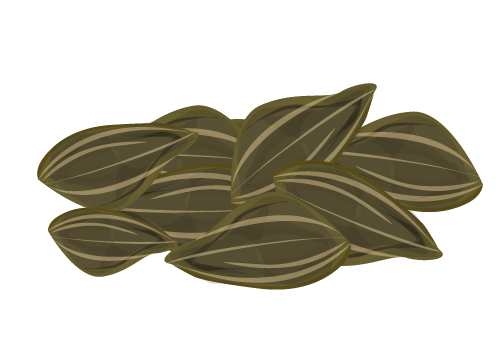 I bought pumpkin seed extract and it didn’t help like eating the seeds. I got tired of pumpkin seed so I decided to grind them up and mixing it with water. I am going to try sun flower seeds. I think any seed and or nuts is a benefit as long as they are not cooked. Lately I have been eating an orange a day and it seems to help to. Also if you have an enlarged prostate don’t take allergy meds. I tried taking “flonase” and after 3 week my allergies were better but I was up all night standing in front to the toilet waiting to pea. It was terrible. The problem is that when you start a medication or a supplement it takes time to kick in and its hard to make a correlation on what effects what. 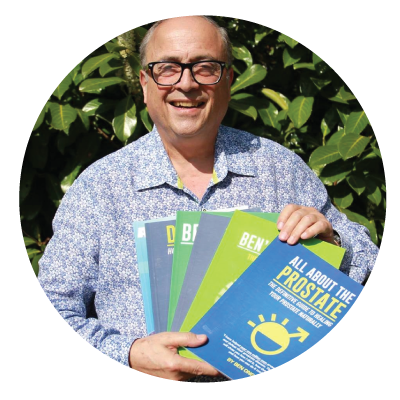 Pay strict attention to Ben Ong/bensprostate.com, for what I’ve discovered time and time again to be life-saving approaches to optimum prostate health – resulting from thorough, not-profit-driven research. Conclusion: Don’t permit MMMMM to run your mind. Hi Martin, Thank you very much for your wonderful comments! It is great to hear that you support our services and appreciate the information that we share. (Liking the MMMMM, great acronym there!) Stay tuned for our latest blogs, especially the ‘Behind The Headlines Series’ which I’m sure you will enjoy. I wish you good health, Ben. After reading the China Study, I am now interested in beginning the plant-based diet. In an attempt to bring down my PSA number, I now take your Total Health supplement. Need information concerning egg consumption and how they impact this diet and my PSA number. Hi Robert, we will be writing an article soon on egg consumption and prostate health, which I will send over to you when it’s published. In the meanwhile if you have any further questions get in touch with my customer service team [email protected]. I wish you good health, Ben. If I don’t do the keto diet will the Prostate Healer still help. Or is it only in connection with the diet that it will work best. Hi Bob, prostate healer will still work but I highly recommend the keto as well. It has been shown to have a large number of benefits for prostate health. You can read more about the Keto diet in this article – http://www.bensprostate.com/ketogenic-diet-weight-loss/ and also how it helps prostate health – http://www.bensprostate.com/ketogenic-diet-help-prostate-disease/. If you have any further questions please get in touch with [email protected]. I wish you good health, Ben.